National Building Products, a division of National of Mansfield, MA, purchased property at 3356 Post Road, Warwick, RI, well known as the old Eagle Lumber location. Since the property was ready for occupancy, National is open for business with experienced employees who were already working at National. This family owned and operated company continues to grow in today’s challenging economy. Founded in 1934, National knows how to overcome obstacles by focusing on teamwork with customers. The long held values of quality products, professional service and prompt deliveries — all at competitive pricing — are appreciated by their growing number of satisfied customers. There has been a National presence in Rhode Island for many years with daily deliveries to job sites. Customers now have the convenience of a Rhode Island store and lumberyard with easy access from Interstate 95. National is bringing its full range of services to Rhode Island. Competitive pricing and innovative cost-saving methods from National will help customers to see their businesses prosper. National knows what builders need and what their customers expect – the best value every day. Rhode Island contractors will be pleased by the additional products and services available from the National Family of Companies, which includes Reliable Truss and Components, National Millwork and Pro Insulators. In May, there will be a Kitchen Views showroom with talented designers, although cabinetry design services are available now. This family owned and operated company, in their third generation, is led by co-CEO siblings Steven and Margie Kaitz, and company president Manny Pina. 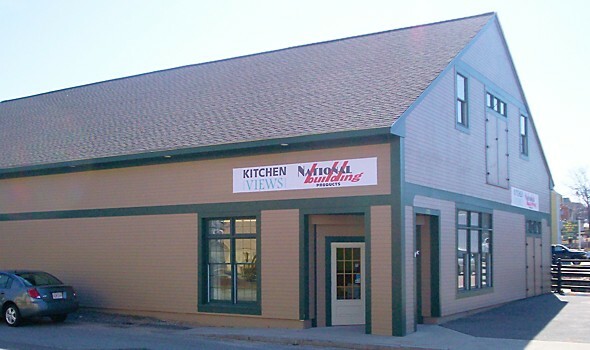 With eight lumberyards, in-house custom millwork shop, and nine Kitchen Views showrooms, National is ready to provide Rhode Island with building materials and services solutions. For more information about National and to sign-up for their emails informing you of events and product specials, call 1-800-370-WOOD or visit their website: www.national-bp.com. Yes, $22.00 per sheet, 4×8. As far as colors, we only carry plain brown.